The complaint — filed March 14 by Pelton-Byce’s mother, Alicia Pelton — alleges that College officials had violated section 504 of the Americans with Disabilities Act, which prohibits institutions that receive federal funding from discriminating against people with mental or physical disabilities. The complaint states that Pelton-Byce — who played for the men's varsity hockey team — was diagnosed with depression by two mental health professionals and argues the College failed to provide appropriate accommodations for his diagnosis when administrators put him on a mandatory leave of absence after he received a failing grade and an unsatisfactory grade in two classes during spring 2018. Pelton-Byce’s case first came before the Administrative Board in spring 2018, according to the complaint. On May 14, 2018, after he finished his exams and returned home, Mather House Resident Dean Luke Leafgren emailed him to inform him he had failed a class and would almost certainly be required by the Ad Board to take a year-long leave of absence. The Ad Board’s policy states that a requirement to withdraw from the College is the standard response for a student who has received two consecutive unsatisfactory grades. Student may request the Ad Board to reconsider any of its decisions if new, relevant information becomes available. Days after Leafgren emailed Pelton-Byce, he received a diagnosis of clinical depression from a psychologist, according to the complaint. Pelton claims that Leafgren knew about Pelton-Byce’s depression as early as May 16, 2018. Leafgren declined to comment on the allegations or on Pelton-Byce’s case, citing Ad Board confidentiality policies. Pelton alleges that emails and phone calls from College officials revealed a “mental health discriminatory culture” in the weeks leading up to the decision to place Pelton-Byce on leave. In addition to a personal statement, Pelton-Byce submitted letters from two mental health professionals to the Ad Board. In the statements attached to the OCR complaint, both wrote that they believed he was capable of returning to the College in fall 2018 and adequately completing his academic work. Pelton wrote in the complaint that the Ad Board forwarded the statements to Counseling and Mental Health Services social worker Melanie G. Northrop. A 2018 Harvard Disability Services report — which concluded the University had not discriminated against Pelton-Byce — cited Northrop’s conclusion that one letter “did little to connect [Pelton-Byce’s] diagnosis to his poor academic performance.” Northrop also allegedly questioned the number of times the clinicians had treated Pelton-Byce before writing their letters. Northrop did not respond to a request for comment on the complaint. On May 30, 2018, Leafgren informed Pelton-Byce that the Ad Board had decided to place him on the year-long leave. 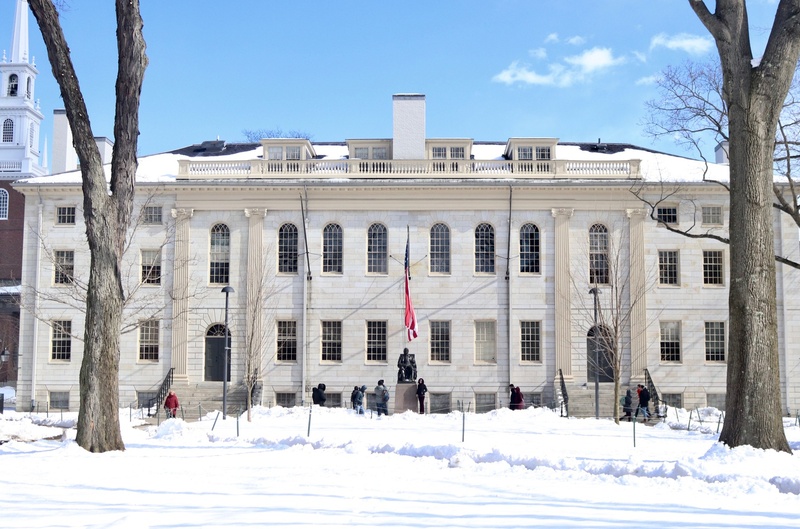 “The Board took this decision believing that a year away from Harvard will ensure that you will have the time to develop the insights and skills necessary to succeed when you return, including if your depressive episode returned,” he wrote. At the time, Associate Dean for Academic Integrity and Student Conduct Brett Flehinger’s “primary concern” was whether Pelton-Byce had been in treatment for long enough to ensure he would be able to succeed academically, according to the Disability Services report. Pelton alleges that Pelton-Byce’s depressive episode was the sole reason Flehinger was concerned about his ability to complete his work. Flehinger, who serves on the Ad Board, did not comment on the allegations in Pelton’s complaint. Pelton-Byce submitted additional documents to the Ad Board including letters from his doctors and Harvard Law School Professor William P. Alford. The letters cited his progress over the summer as new information for the Ad Board to consider. Following his failed reconsideration request, Pelton-Byce requested on Sept. 6, 2018 that Disability Services investigate whether the College discriminated against him by failing to accommodate his depression. The Disability Services report found the Ad Board followed internal procedures and did not discriminate against Pelton-Byce. In January 2019, Pelton-Byce transferred to the University of Wisconsin. In an email to The Crimson, Pelton wrote that she filed the complaint because she believes the College’s mental health accommodations are insufficient. College spokesperson Rachael Dane declined to comment on the complaint. The Department of Education currently has six open investigations into alleged disability discrimination at Harvard — one 2013 case into the University, two 2017 cases into the Extension School, and three 2017 cases into the Kennedy School. Per Department of Education policy, the Office for Civil Rights reviews all complaints but does not publicly acknowledge a complaint unless the Office decides to open an investigation.